Home / Multi Platinum Selling Group EN VOGUE Follow Up Their Top 10 Lead Single With Hot 2nd Single "Reach 4 You" Off New CD Electric Cafe Available Everywhere!!! / Multi Platinum Selling Group EN VOGUE Follow Up Their Top 10 Lead Single With Hot 2nd Single "Reach 4 You" Off New CD Electric Cafe Available Everywhere!!! 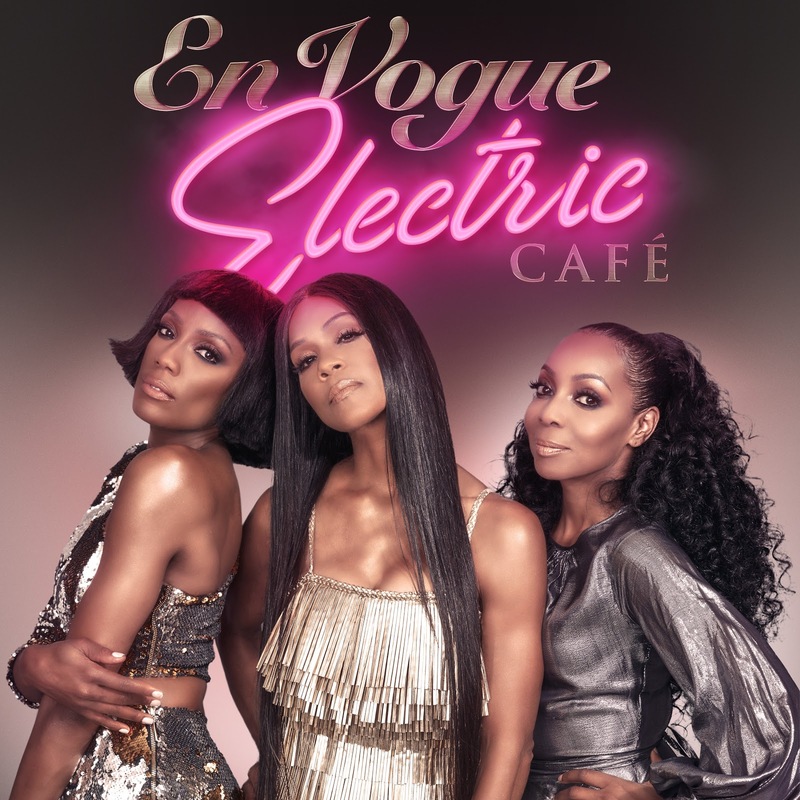 Multi Platinum Selling Group EN VOGUE Follow Up Their Top 10 Lead Single With Hot 2nd Single "Reach 4 You" Off New CD Electric Cafe Available Everywhere!!! HBCU PD's, MD's & Mix Show DJ's Give Your Listeners The Energy They Crave!!!! PLEASE ADD TO PLAY LIST!!! Cindy Herron-Braggs, Terry Ellis And Rhona Bennett Make Up The Multi Platinum Selling Group EN VOGUE. They Are Recognized As One Of The Top 25 Highest Selling American Female Music Groups In History. EN VOGUE Has Sold Over 20 Million Albums To Date. 2017 Marks A Career For The Group Successfully Touring To Sold Out Audiences Both Internationally & Domestic. Timeless! That’s what comes to mind the moment the resonant voices of En Vogue pour through the airwaves. With their first single, Rocket, breaking the Billboard UAC Top 10 chart, the ladies are poised for more chart-topping success with the global release of their “Electric Café” album on Entertainment One Music. April 2018 marked the group’s most diverse work yet with the release of “Electric Café.” “We were just looking for a vibe,” says founding member Cindy Herron-Braggs of the group’s first studio album since 2004. “In the beginning, we were feeling that electronic dance sound, but then the music started to evolve creatively.” Electric Café features collaborations with some of today’s most sought-after producers and artists, including Ne-Yo, who penned the lead single Rocket with production by Curtis "Sauce" Wilson and Raphael Saadiq, who wrote and produced the smoking hot track, I’m Good. “Rocket,” En Vogue’ official radio single, is the group’s first Top 10 radio record in 20 years. The Hip-Hop laced Have a Seat ft. Snoop Dogg was penned by writer/producer Taura Stinson, and the group’s original production duo, Denzil Foster and Thomas McElroy, tapped back into En Vogue’s signature sound with Déjà vu and Blue Skies. Known for their show stopping performances, En Vogue stays in demand. 2018 kicked off with a European tour hitting Dublin, Ireland followed by shows throughout the United Kingdom, Holland and Germany. The ladies attribute their stellar figures and age-defying looks to a primarily plant-based diet and vigorous fitness routine. For them, the ability to consistently deliver high-energy performances is paramount; it is also what keeps their legions of fans wanting more. Simply put, “We just love our craft,” says Cindy Herron-Braggs. While the seasoned songbirds stay connected to their R&B roots, their appreciation for diverse musical genres is reflected in their new project. “We love the authenticity of Hip Hop and the fusion of old school rhythm with a contemporary sound,” says Rhona Barrett. When not on the road, they donate their time to philanthropic causes such as The HollyRod Foundation, which provides medical, physical, and emotional support to families living with autism and individuals battling Parkinson’s disease. They also support non-profit organizations that rescue victims from human trafficking and provide them with educational and job training. Since their debut En Vogue has set the standard for female R&B/Pop groups and promise to continue that tradition into the future for a new legion. Their appeal is timeless; and in a world full of ‘one-hit’ wonders, that makes their new collection of music – timely.